Wasted food is more than just wasted money. Every time you toss uneaten produce in the compost, it causes unnecessary environmental damage and wastes water. So how do you make your food last longer? 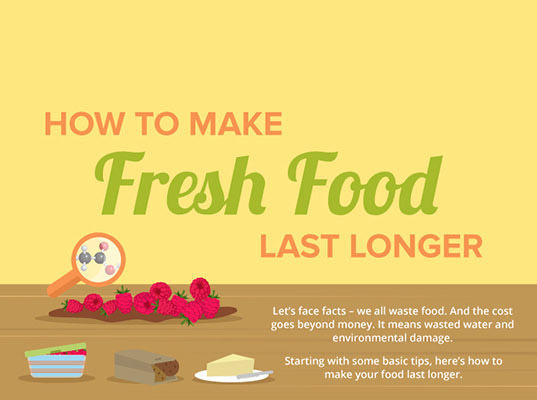 This new infographic by NeoMam Studios for Pounds to Pocket has all the details on preserving, storing and prolonging the life of all of your fresh food, saving you money and the planet. Check out the full infographic after the break!